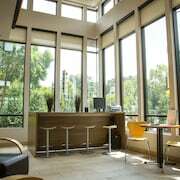 Located in a renovated downtown rail station, this hotel is a block from walking trails along the Mississippi River, 4 blocks from Nicollet Mall, and 5 blocks from the Metrodome. Situated in Minneapolis, this historic vacation home is 0.8 mi (1.3 km) from Minnehaha Park and 3.1 mi (4.9 km) from University of St. Thomas. University of Minnesota-Minneapolis and U.S. Bank Stadium are also within 6 mi (10 km). 46th Street Station is 15 minutes by foot and 50th Street Minnehaha Station is 20 minutes. Located in Uptown, this historic property is within 2 mi (3 km) of Chain of Lakes, Walker Art Center, and Minneapolis Institute of Arts. Minneapolis Convention Center and Target Center are also within 3 mi (5 km). 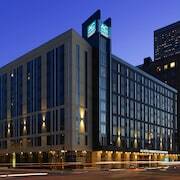 Located in Downtown Minneapolis, this hotel is within a 15-minute walk of Our Lady of Lourdes Catholic Church and Nicollet Mall. Target Center and Target Field are also within 1 mi (2 km). Warehouse - Hennepin Station is 18 minutes by foot and Nicollet Mall Station is 19 minutes. 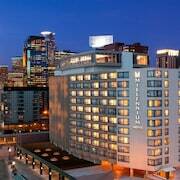 Hotel Minneapolis, Autograph Collection is located steps from some of the city's finest entertainment, shopping, and dining venues. 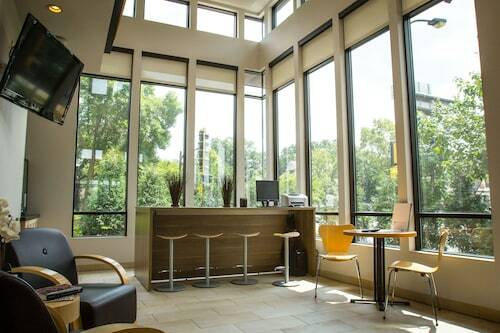 Guests can stroll 8 minutes to Nicollet Mall, or catch a light-rail train 2 blocks away for easy access to Minneapolis-Saint Paul Airport and Mall of America. 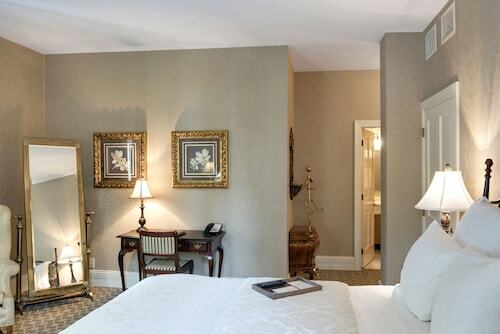 If you’re a fan of learning about centuries gone by, or perhaps you just love the architecture of yesteryear, consider a historic hotel the next time you travel. Minneapolis historic hotels put you near where all the momentous events in the area occurred, and where the old, vintage buildings stand. 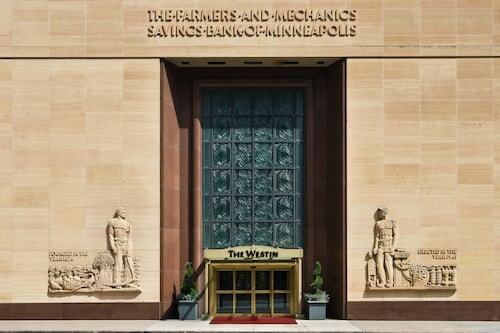 When you book a room at one of the historical hotels in Minneapolis, you’ll experience the past come alive. Visit all the famous landmarks nearby and snap a few pictures for the scrapbook. 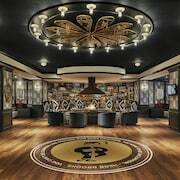 Be sure to ask the hotel staff about visits from historical figures and then head back to relax in your hotel room after a long day of sightseeing tours and artwork exhibits. 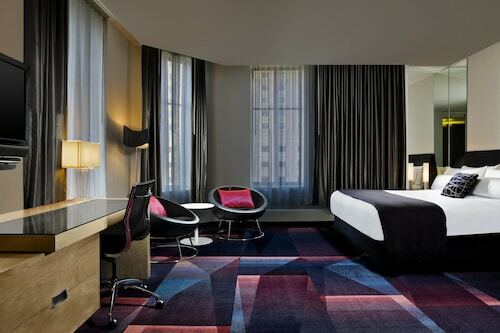 As much as you love history, you also love modern amenities, and you can have the best of both worlds on this trip. 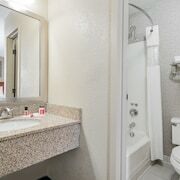 These accommodations range from plush to quaint, and you’ll have all the conveniences you need to relax and rejuvenate. And you don’t need have Rockefeller as your last name to be able to afford a place to rest your head. 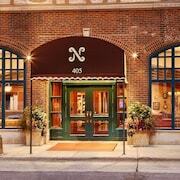 There are a wide variety of cheap historic hotels in Minneapolis that cater to everyone, no matter your budget. 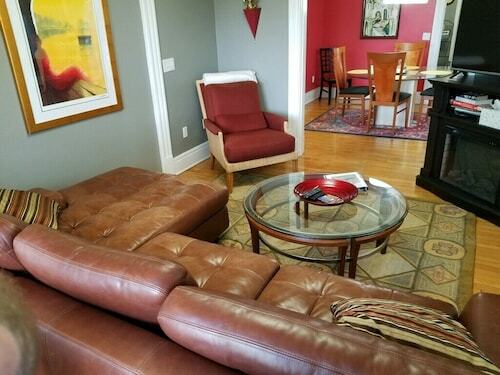 Like everyone says, it was a great location, walking distance to University, shops and a Catholic Church. Nadiya Graham and her staff were very welcoming and helpful in answering any questions about Minneapolis. They were great to talk with and really made us feel at home. Thanks to all of you. We loved how it was right down town. It was our first time to the cities and enjoyed being down town. 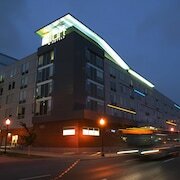 The staff was friendly, the rooms were cozy and Fred (our Bassett Hound) loved it to. Thank you. 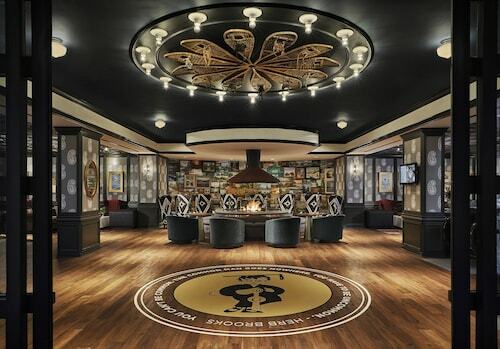 I loved the large fireplace and sitting area in the lobby. The sofa next to the window, so I could sit and look at the view. 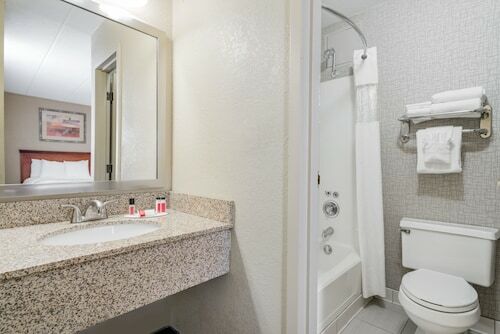 The bathroom was beautiful, and the bed was so comfortable.